5 meals a day, 7 days a week. Thats 35 meal decisions for you to make this week! When you’re tired and hungry, how many of those are you likely to get right when you’re standing in front of the fridge? 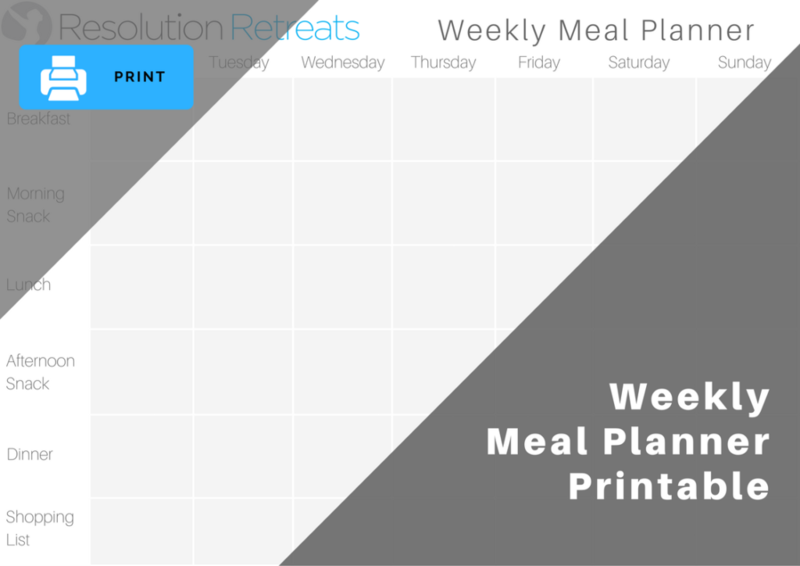 Ladies tell us the meal planning workshop is one of the most useful on the retreat. 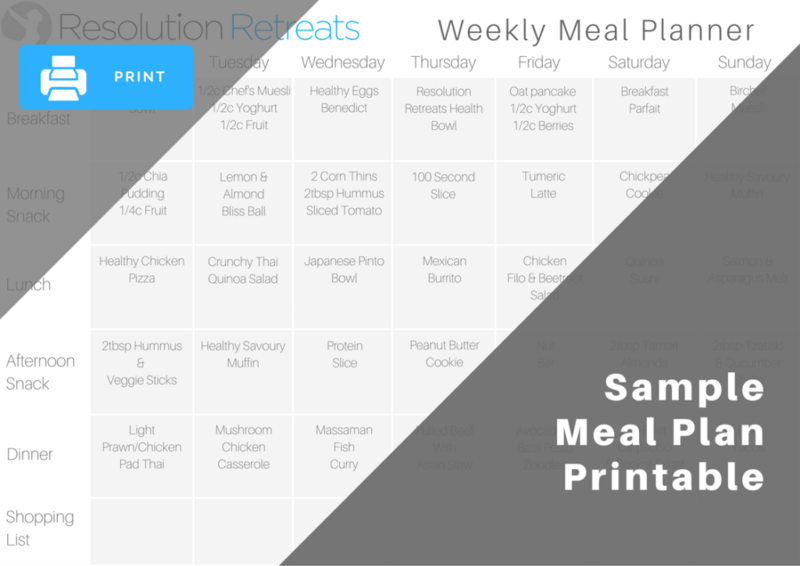 So here’s a printable to get you started … we’ve done the first week as an example of what we would eat on retreat. Let us know if you need any help! It contains all you need to know about our luxury retreats. Enjoy!